Composed by Christopher Ferreira. Contemporary Classical, Post-Romantic, Minimalism, Neo-Classical, Fairy Tales. 4 pages. Published by Christopher Ferreira (S0.156081). 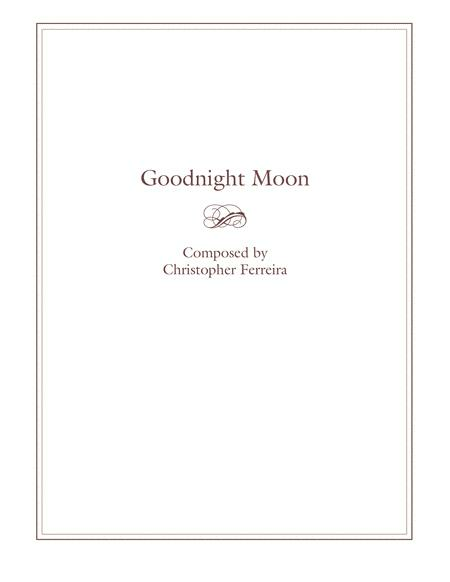 This is the piano score to Christopher Ferreira's song "Goodnight Moon", from his 2011 album The Piano Pieces. Recordings of all pieces are available through itunes and other online music retailers.